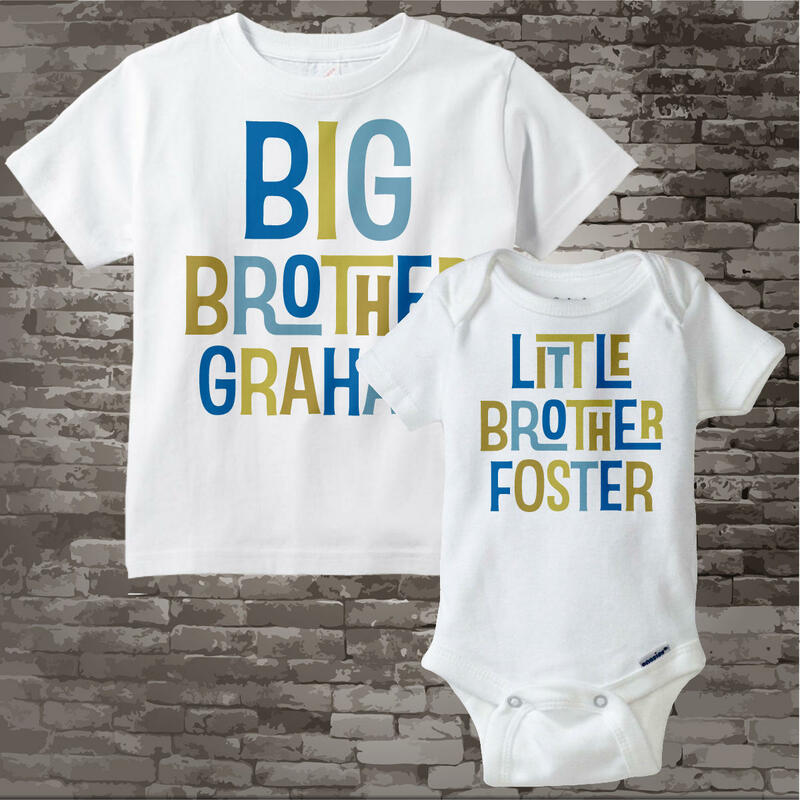 Blue and Green Gold Big Brother and Little Brother Shirt or Gerber Onesie set of two. 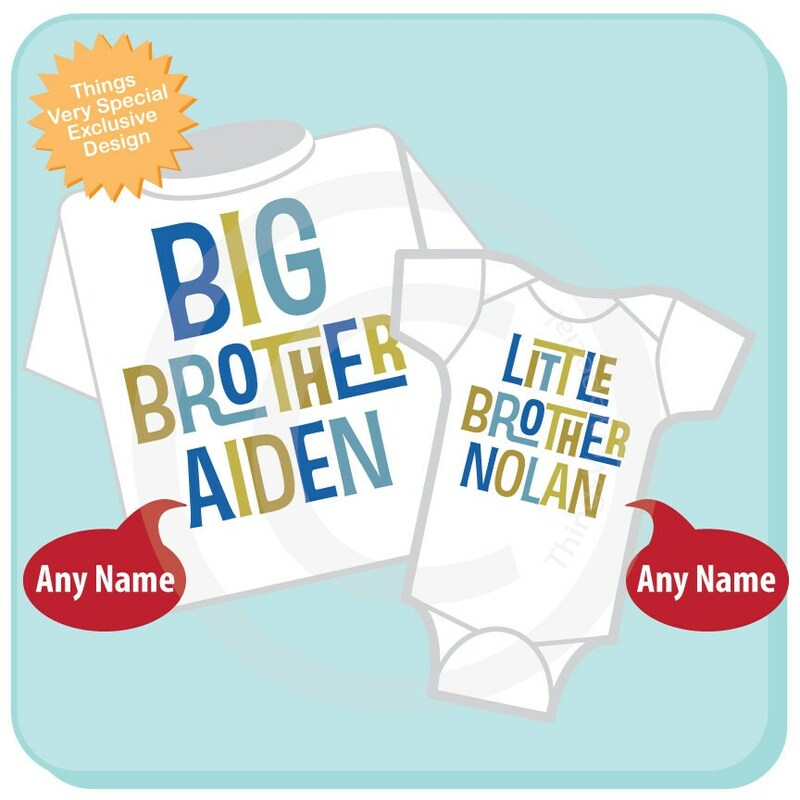 Super cute Personalized Big Brother tee shirt with awesome blue and green gold text and little brother shirt or Onesie. 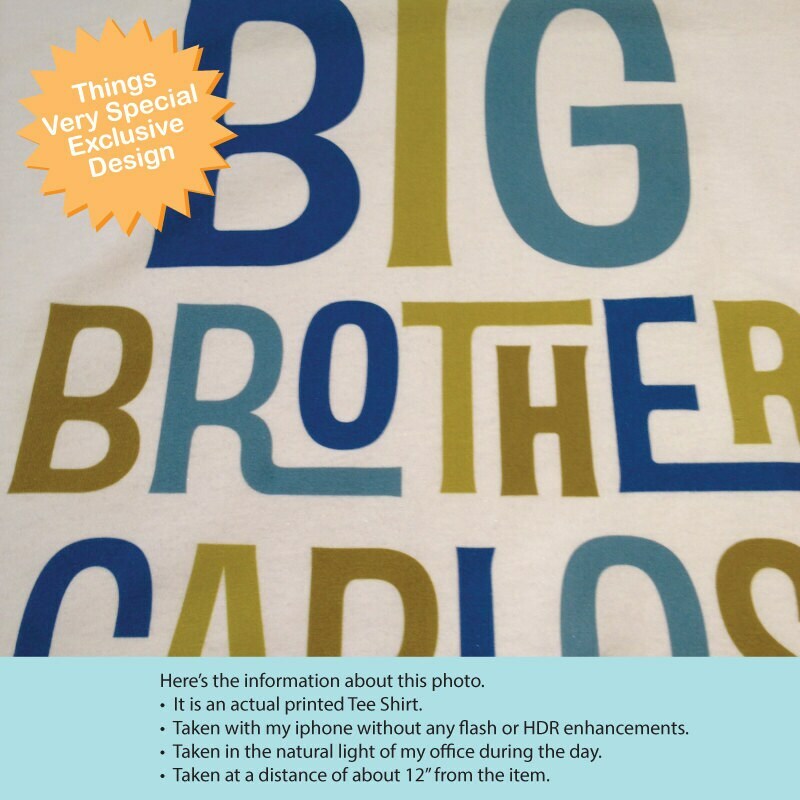 I have to say I love the style & color of the custom print but the shirts seem a little awkward. I ordered a 4 T as recommended for my 2 year old & it does fit but it seems to be very wide and a little short even for being a 4 T. I thought I ordered big for the my expectant newborn by ordering (0-3 mo) but It is definitely New born. I hope my son will fit into it. If he does it's going to be a one time wear for sure :(. I could not be happier with the quality of the shirts I ordered. This definitely will not be the last time I order. I got them days after I ordered when the estimated arrival was 4-6 WEEKS. Have told all my friends and family about them too. Sizes were completely accurate and they were made on good shirts, which was a relief. LOVE LOVE LOVE. 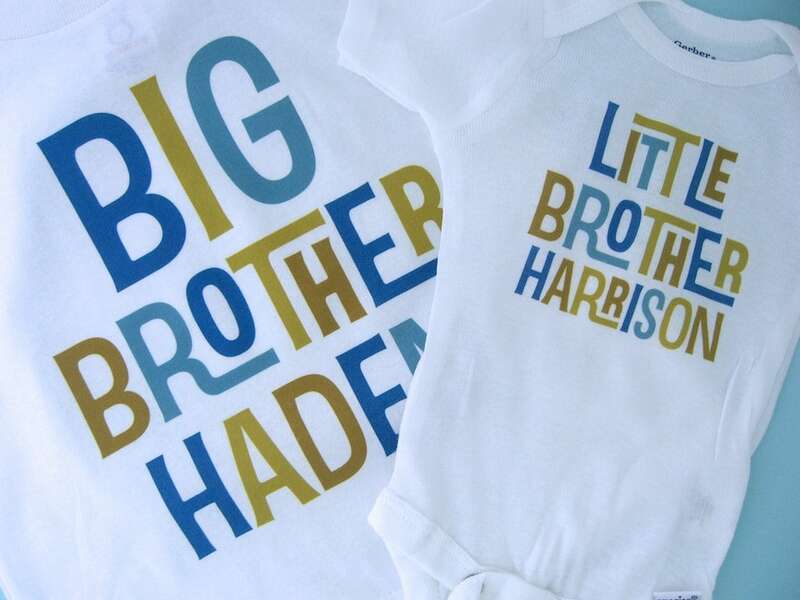 So cute can't wait to see it on! !